You're in for a treat with this unique collectible for the Minnesota sports fanatic! This once in a lifetime opportunity allows you to own a piece of the very famous white Metrodome roof that collapsed in the winter of 2010. 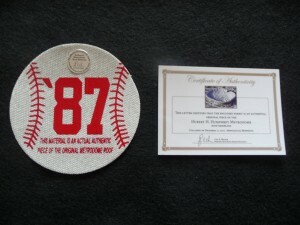 This baseball sized collectible is around 4" tall, comes with sturdy plastic case and stamped with the World Series year! 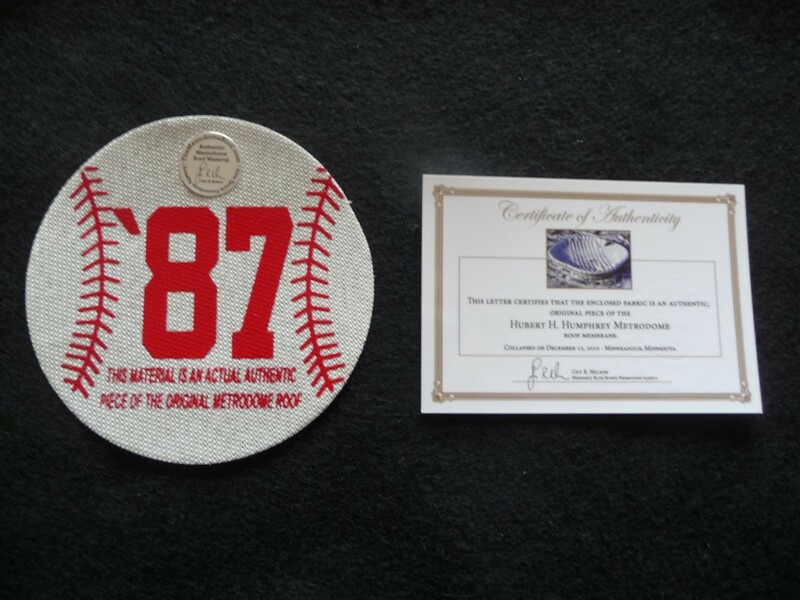 Your purchase will include an authentic and genuine Teflon Metrodome roof piece and a signed Certificate of Authenticity, each arriving in a sturdy clear plastic sleeve. A portion of proceeds will be donated to this month's featured charity. More featured charities coming soon...check back again! View all of the teams, events and famous athletes that have played under this roof HERE! Get them while they're still around! This is a once in a lifetime chance for the fan of Minnesota sports and all that happened under that white landmark. We ship the next day with USPS First Class Mail. You'll have your gem quicker than a Jack Morris fast ball! The Metrodome Roof © 2019. All Rights Reserved.